Thousands of slips, trips and falls occur every year causing personal injury. 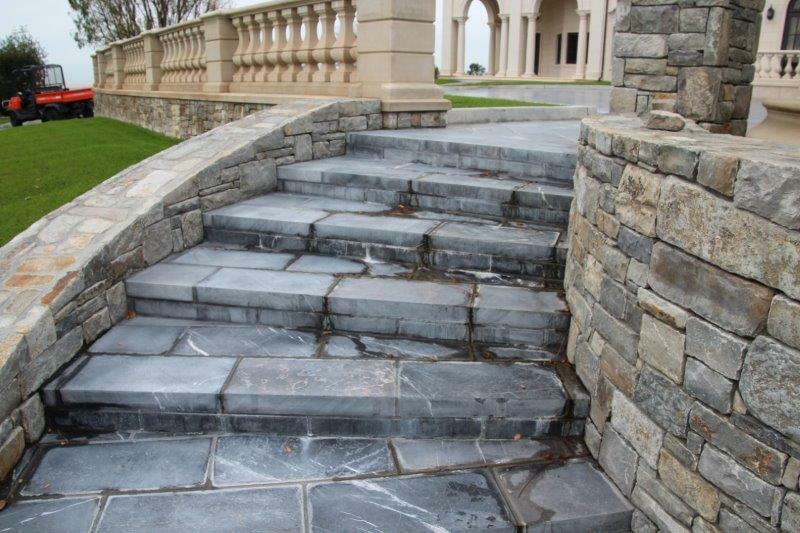 Many of these preventable injuries occur due to the improper installation of ceramic and stone tile on stairs. Riser Height: The maximum riser height shall be 73/4” (196mm). The riser shall be measured vertically between leading edges of adjacent treads. The greatest riser height within any flight of stairs shall not exceed the smallest by more than 3/8” (9.5mm). Tread Depth: The minimum tread depth shall be 10″ (254mm). The tread depth shall be measured horizontally between the vertical planes of the foremost projection of adjacent treads and at a right angle to the treads leading edge. The greatest tread depth within and flight of stairs shall not exceed the smallest by more than 3/8” (9.5mm). 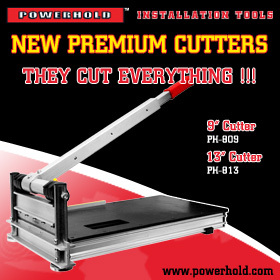 Consistently shaped winders at the walkline shall be allowed within the same flight of stairs as rectangular treads and do not have to be within 3/8” (9.5mm) of the rectangular tread depth. Spiral Stairways: Spiral stairways are permitted, provided the minimum clear width at and below the handrail shall be 26″ (660mm) with each tread having a 7½” (190mm) minimum tread depth at 12″ (914mm) from the narrower edge. All treads shall be identical, and the rise shall be no more than 9½” (241mm). A minimum headroom of 6 feet and 6″ (1982mm) shall be provided. Winder treads shall have a minimum tread depth of 10″ (254mm) measured between the vertical planes of the foremost projection of adjacent treads at the intersection with the walkline. Winder treads shall have a minimum depth of 6″ (152mm) at any point within the clear width of the stair. Within any flight of stairs, the largest winder tread depth at the walkline shall not exceed the smallest winder tread by more than 3/8” (9.5mm). 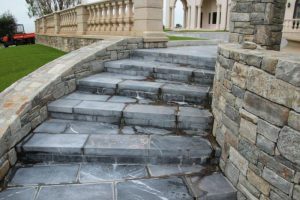 Stairways and Walking Surface: The walking surface of treads and landings of stairways shall be sloped no steeper than one-unit vertical in 48″ horizontal (2% slope). Landings for Stairways: There shall be a floor or landing at the top and bottom of each stairway. Outdoor Conditions: Outdoor stairways and outdoor approaches to stairways shall be designed so that water will not accumulate on walking surfaces. Further, in the 2017 Tile Council of North America Handbook for Ceramic, Glass, and Stone Tile Installation, there are three recognized assemblies in S151-17— concrete stairs, metal stairs and wood stairs. Slip-resistant tile should be specified on all stair treads and warranted by the tile manufacturer suitable for installation on stairs. 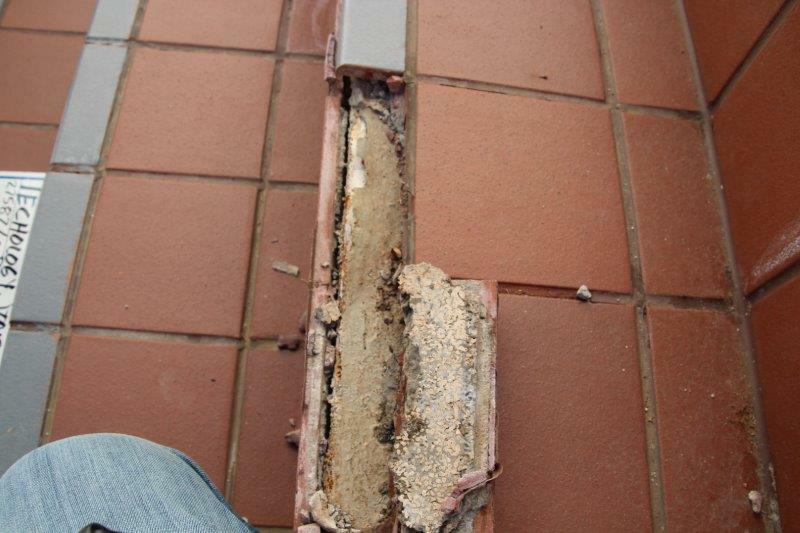 Do not use glazed wall tile on stair treads. 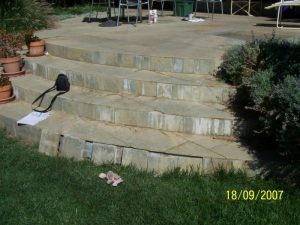 Concrete Stairs: the concrete is to be finished with medium-rough bushhammer finish and be free of cracks, waxy or oily films, and curing compounds. Assembly method F112 for treads; and assembly method W211 for risers. Mortar bed thickness: 3/4” minimum and 2″ maximum for tread; and 3/8” minimum to 3/4” maximum mortar bed thickness for risers. Use flexible sealant at riser to tread intersection in lieu of grout. ANSI A118.10 waterproof membrane or ANSI A118.12 crack isolation membrane may be included. Wire reinforcing is not required. Metal Stairs: Assembly method F111 is for a wire reinforced mortar bed with mechanical fastening of reinforcing wire by tack welds of other means to the metal pan. The wire reinforcing must be anchored on metal stairs by welding or otherwise securing two pieces of structural steel to bottom of metal tread pan, 2″ in from front and back of pan and running the long way of the tread. A waterproof membrane meeting ANSI A118.10 is not necessary for interior stairs but I recommend a ANSI A118.10 waterproof membrane applied to the top of the mortar bed before tile to reduce moisture absorption into the metal pan for all exterior stair installations. Failures have occurred when water egresses into the mortar med and is unable to egress back out. Corrosion of the wire reinforcing may occur with loss of bond to the metal pan. 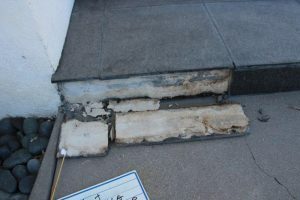 Where a metal stair riser occurs, the mortar bed and reinforcing at intersection of the riser and tread should not be continuous. 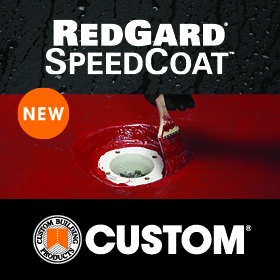 Option to drill 3/8” holes or larger in the metal pan to allow for moisture to egress out the bottom of the metal pan. 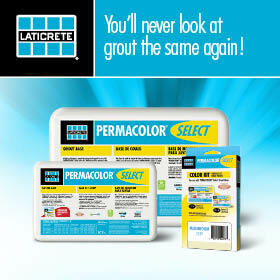 Install flexible sealant in lieu of grout where tile work abuts the metal pan on the perimeter. Wood Stairs: Floor systems, including the framing system and subfloor panels, over which tile will be installed shall be in conformance with the IRC for residential installations and the IBC for commercial applications, or applicable building codes. Maximum allowable floor member live load and concentrated load deflection shall not exceed L/360. See assembly method F141 for tread and assembly method W231 for riser. Waterproof membrane meeting ANSI A118.10 is required for all exterior and wet area stair installations. Design of waterproofing should be integral with all exterior perimeter walls. Cleavage membrane is suitable on treads for interior applications beneath the mortar bed on wood stairs. Additional design considerations: All penetrations on exterior stairs should be properly waterproofed and sealed, especially with handrails. All exterior vertical wall intersections should be flashed and interfaced with waterproofing/weatherproofing of the exterior wall assembly. Movement joints should be placed at the vertical transition down to the horizontal tread installation. In areas subject to handicapped egress, top landing and bottom landing should be of different color than stair tread for visual identification. Waterproofing installed by others must be verified the waterproofing meets ANSI A118.10 requirements for direct bond of tile to the waterproof membrane. 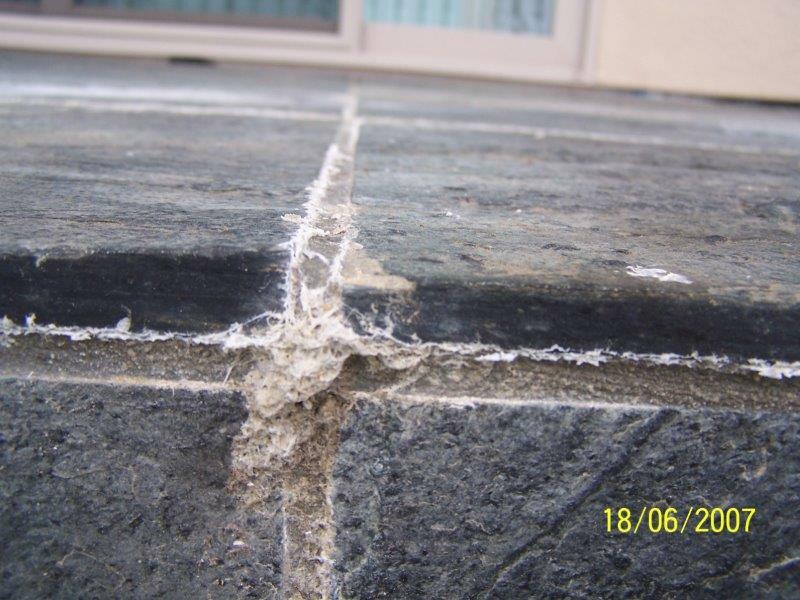 Roof membranes not meeting ANSI A118.10 requirements will lead to loss of bond of the tile and mortar due to incompatibility. Tile installers should always work toward 95-100% for contact area of mortar and tile with coverage to be sufficiently distributed to give full support of the tile. Spot-setting of tile on stairs is not a recognized installation procedure. Back butter each tile with bond coat, key the mortar into substrate with the flat side of the trowel, and comb with the notched side of the trowel in one direction. Embed the tile in the mortar by beating-in, pushing in one direction perpendicular to the combed ridges, or other means to achieve the proper coverage. Periodically remove and check a tile to assure that you are attaining the proper coverage. Plan for movement joints in lieu of grout where abutting restricting surfaces. Where cove base is used on the riser, the movement joint is placed between the cove base and the tile on the tread. Always work toward successful installations. When the stair is completed, check and verify that they are all in compliance with the above code requirements.